Were You Hoping Glass Would Be M. Night Shyamalan’s Return to Form? Well, I’m Sorry. Is zero stars an option? You may have been hoping that M. Night Shyamalan would return to his former brilliance with Glass. That's not the case, and it's really disappointing. Surprise! The Reviews Are in and Glass Isn’t Great! Not everyone is an M. Night Shyamalan fan and, from what I can tell, they are not going to become one after seeing Glass. The movie was meant to be the comeback everyone was waiting for—but it seems to have failed to reach its audience. With 24 reviews counted, the movie currently has a 42% rating on RottenTomatoes so ... not great! Every time I think I'm done caring about M. Night Shyamalan, he drops some gigantic breadcrumb, making sure I'll follow his career at least a little longer. The latest being that corporeal goddess Sarah Paulson has joined the cast of his upcoming movie, Glass. Britney's classic single "Shattered Glass" has never been more irrelevant. If you are as klutzy as I am (hopefully not, because I would feel terrible for you), you know the tragedy of shattering drinking glasses all over your house. 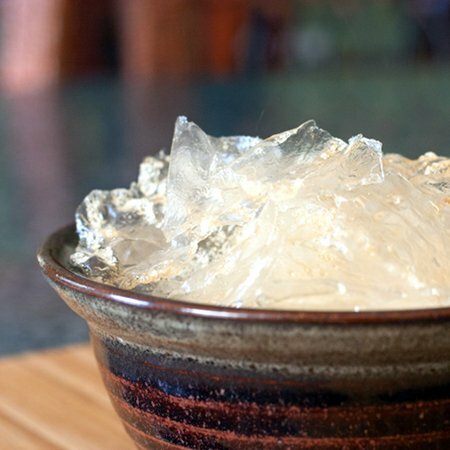 Fortunately, scientists at Montreal's McGill University want to save us this pain, developing a new type of glass that actually bends when it hits the floor instead of breaking. Finally! These might look like they can cut your mouth open, but they are, apparently, perfectly decent potato chips. Created by Hamid Salimian, Diva at the Met chef, these are perhaps the most curiously normal snacks you will ever see. 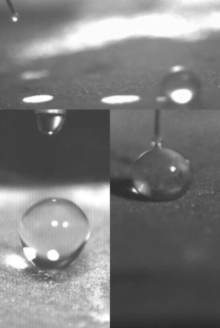 Researchers at MIT have developed a new surface texture that, when applied to glass, produces a kind of glass that removes reflections, is free of glare, doesn't fog, and has a surface that causes water droplets to bounce off like rubber balls, as pictured to the left and featured in a video below. Kiva Ford makes his living in the centuries-old art of glassblowing, but with a modern twist, working with the American Scientific Glassblowers Society. As a member of the ASGS, Ford creates the custom glassware that scientists need for their experiments. Unusual shapes, and yards of glass piping are no stranger to Ford who masterfully manipulates them with super-hot blue flames. Though he clearly cares a lot about his work, Ford is under no illusions and freely acknowledges the decline of the ASGS in the face of new plastics and the changing ways of modern science. And because the above documentary is made for Etsy, its a perfect segue into his artistic work, much of which echoes his interest in science. In his Etsy store, you can find a tiny anatomically correct model of a heart in a jar, or a chemistry set the size of pocket change. He also claims to have the world's smallest Klein Bottle, a curious creation that has no clearly defined inside or outside. Look on below for some pictures of from this amazing and dedicated craftsman. Don't inhale the smoke just pull it into your cheeks and let it fall out your mouth along the inside of the tilted glass. Do not breath as you do this or it will blow it all away! It's all just science: The unfiltered cigarette creates denser smoke, and as the smoke hits the cold glass, it cools, causing it to react in the mesmerizing way seen in the video. 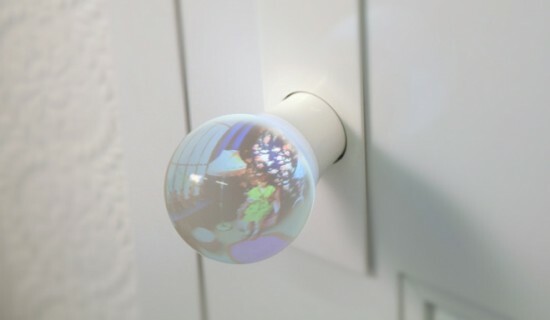 From the mind of architect Hideyuki Nakayama comes "A Room in the Glass Globe," a doorknob that offers a glimpse into the next room over. What appears to be a reflection is in fact a funhouse vision of what's behind the door. Got glass door knobs, doors are one piece. And to exert a hand to the knob, such as snow globes as if the room is trapped somewhere. Small furniture, small windows, a closer look There is also a small figure. When you knock on the door, stood a figure approaching. Oh! moment I thought, is enclosed inside a glass ball the whole hand now in front of the light. open Beyond the door, people were standing inside the glass. Between 100 million and 1 billion birds die from crashing into glass every year in North America alone, according to Audubon Magazine; they are either confused by the reflections in windows or simply can't see the glass, and fly into it at full speed. 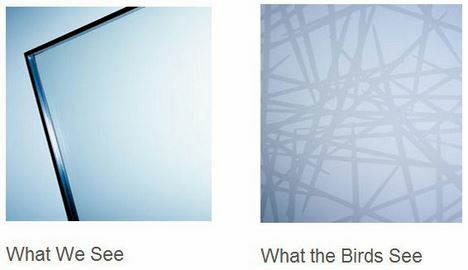 German company Arnold Glas has come up with an innovative approach to saving birds and windows alike. Their Ornilux glass features an ultraviolet coating which is almost invisible to people, but which appears as a spidery criss-cross of lines to birds: In addition to the red, green, and blue cone cells that humans have in their eyes, most birds have special UV-sensitive cones. According to Arnold Glas, Ornilux glass reduces bird collisions by 75%.